This is the story of how the first large scale CSP plant was built in North Africa. 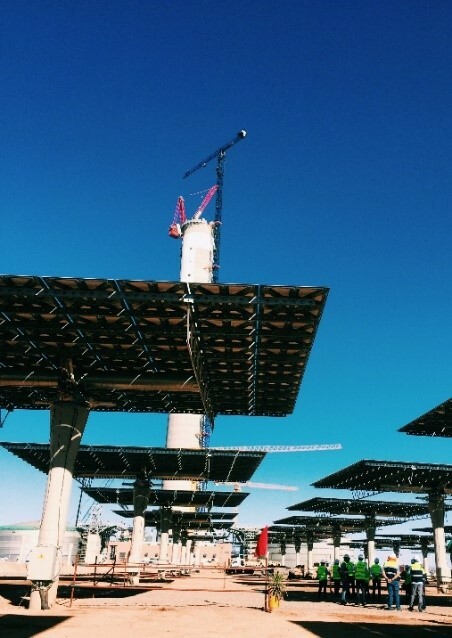 This is an account of how the vision for the NOOR Ouarzazate Solar Complex (‘NOORo’) came to life, from the Moroccan Solar Plan to the NOORo III Solar Tower, channeled through the coordinated efforts of the Moroccan Agency for Sustainable Energy (‘MASEN’). 10 kilometers outside of Ouarzazate, flat and curved mirrors shine bright at the contact of sunlight—a sunlight that is available more than 3000 hours per year at a radiation of over 2500 kWh per m2 per year. Located in one of the world’s sunniest region, Morocco is endowed with one of the best solar resources in the world. Therefore, the decision for aggressive solar energy development was a natural decision, a clear opportunity to tap into an abundant source of energy accessible within its borders. In fact the decision originated within the Moroccan Renewable Energy Plan (‘the Plan’), the Kingdom’s answer to the need for generation capacity during times of high and volatile oil prices. In 2009, Morocco made the strategic decision to electrify its future using domestic resources to gain energy independence and reduce fuel expenses. By paving the way for a new industry, Morocco would also be bringing new skills and technology to the country, and become a pioneer in the region. 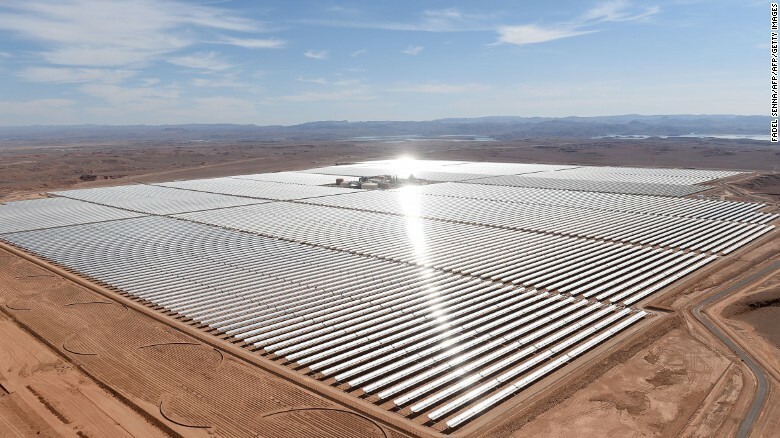 Today these mirrors stand on Moroccan-made steel structures and were installed by mostly Moroccan labor, while engineers, investors, and other solar enthusiasts come from all over the world to see them, collectively making up the NOORo Solar Complex, or soon to be the world’s largest Concentrated Solar Power (‘CSP’) plant. The beauty of the NOORo Complex is a true testament of the coordinated efforts exerted to realize a project of such scale. What exactly did it take to introduce a relatively nascent technology into the Moroccan system? A delicate recipe of various measures to create an enabling environment, introduced in a timely manner, as well as a handful of talented individuals, a pinch of dedication, and a dash of great sunlight. In order to achieve the Plan’s 42% renewable share by 2020, such an initiative had to become a national priority. In 2010, Parliament passed the Renewable Energy Law, Law No.13-09 turning the Plan’s agenda into legal text and establishing the grounds for the development of renewable energy. The legal premises for this agenda were: energy security through diversification of generation resources, energy access, sustainable development, and potential of regional integration (including the Mediterranean region and Africa) through electricity exports. The Law set the framework to enable the production, commercialization, and exports of renewable energy, as well as the ability of a producer to connect to the grid. contribute to the development of the surrounding communities. MASEN was also permitted to undertake all “industrial, commercial, real, personal, and financial operations pertaining directly or indirectly to the purposes [of the NOOR Plan].” What this means is that MASEN was entrusted with the autonomy to go beyond its defined role to introduce new ideas and concepts which allowed it to become: on-lender of concessional debt financing and grants to the project companies, equity shareholder in the project companies, single-buyer of solar energy, independent power producer to the national utility, the Office National de l’Eau et de l’Electricite (ONEE). Today, as amended by Law No. 37-06, MASEN stands for Moroccan Agency for Sustainable Energy, whereby it is responsible for the development of all renewable energy in Morocco, and has inherited new wind and PV objectives to allow the energy mix to reach 52% of renewable generation by 2030. 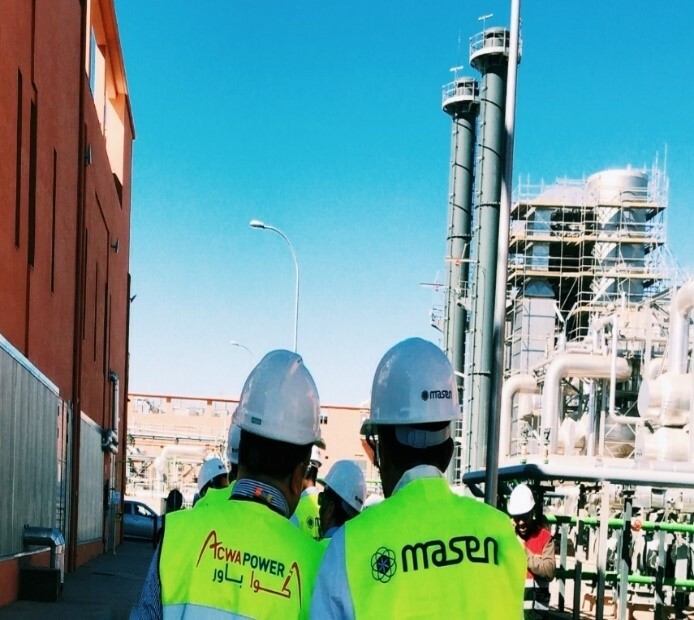 Two years ago, the commissioning of the Complex’s first plant, NOOR Ouarzazate I, marked MASEN’s first achievement. A 160 MW CSP plant using parabolic trough technology and thermal storage— NOORo I is a 4.5 km2 field, which composed of mirrors reflecting sunlight onto a glass tube (‘receiver’) full of heat transfer fluid. Some of this heat is used to make steam and generate electricty on the spot, while a portion of it is intended to become thermal storage. Via a heat exchanger, heat is transferred to another fluid, molten salt, which is able to store heat for long hours in a dedicated tank. Later, when the sun has set, NOORo I accesses its stored heat to initiate another steam cycle. It is exactly this ability to work despite the sun’s departure that allows CSP technology to provide firm energy, independently of the sun. 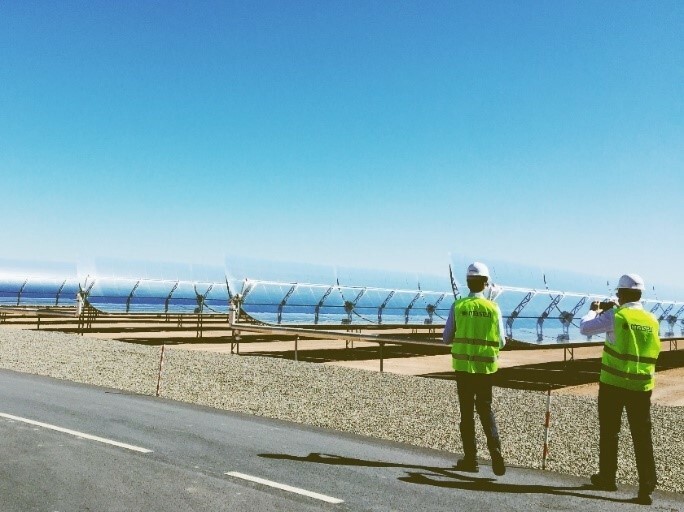 CSP was therefore the obvious instrument to unlock solar potential and institute energy security—the answer to Morocco’s wish for a dispatchable, indigenous, and utility-scale technology. Shortly after the creation of MASEN in 2010, a tender was issued to select a private partner to develop the NOORo Complex’s first plant as a Public-Private Partnership, with MASEN being the public partner. For that purpose, MASEN secured concessional financing from an extensive list of development partners: African Development Bank (AfDB), Agence Française de Développement (AFD), KfW (German Financial Cooperation), European Comission Neighborhood Investment Facility (EU NIF), European Investment Bank (EIB), and the International Bank for Reconstruction and Development (IBRD). The IBRD and AfDB were administering loans from the Clean Technology Fund (CTF), part of the Climate Investment Funds (CIF). The CTF is a $5.8 billion fund aimed at empowering transformation in developing and emerging economies by providing resources to scale-up low carbon technologies with significant potential for long-term greenhouse gas emissions savings. This would become one of MASEN’s most important roles: on-lending. 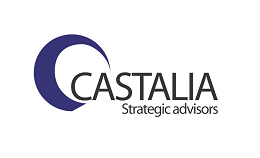 The Agency was effective in mobilizing concessional financing with a State guarantee, repackaging it, and lending it to the project company to be incorporated by the successful bidder. MASEN shared the terms and conditions of the financing offered with the bidders during the tender process. A practice known as stapled financing, it was effective in signaling to the bidders that funding was available and at concessional terms (i.e. a weighted average cost of capital that was much less than a commercial rate). Indeed, since these loans were provided at concessional rates, upfront knowledge of the financing terms actually reduced the bid price. This was a key contributor to the financial viability of CSP, as well as a demonstration of the commitment of the donor community to sharing the cost of climate mitigation. ACWA Power was selected as the developer and partner in the NOORo I special project company (SPC). MASEN’s subsidiary, MASEN capital, would take 25% of the equity in the SPC, while ACWA Power would bring in 70% of the equity, and the outstanding 5% were held by TSK Electronica y Electricidad and Aries Ingenieria y Sistemas. 80% of the project cost would be covered through the debt channeled through MASEN. MASEN served as the official borrower of concessional debt from the development partners, backed by sovereign guarantee from the State. MASEN would then on-lend to the SPC. This was with the purpose of allowing low-cost concessional financing to be disbursed to a private sector project. Concessional financing would cover part of the incremental cost of CSP so that the tariff could be significantly lower than otherwise. To further ensure the financial viability of the Project, a back-to-back Power Purchase Agreement (PPA) structure, with MASEN at its center, was implemented. 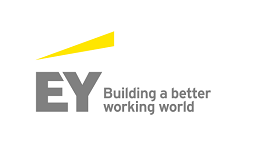 MASEN would purchase the electricity from the SPC at the bid price (which had been reduced by the impact of concessional financing), and sell the electricity to the national utility, ONEE, at a pre-agreed price. The difference between the purchase and the selling price (ONEE tariff) would be covered by the Government of Morocco, through the Ministry of Finance, as per the agreement between the State and MASEN, in which the State guarantees undertaking the necessary measures to advance solar technology (or ultimately could be covered from other sources, such as solar energy export revenues). These are the many parts that MASEN had to play to achieve the NOORo I power plant project, and by the same token, to bring CSP to Morocco in a financially viable manner. Moreover, MASEN as a dedicated entity, was essential to bridge all the gaps that may otherwise have stalled progress. MASEN quickly became the vehicle of the country’s strong commitments to solar energy. Shortly after the construction of NOORo I begun, the tenders for NOORo II and NOORo III selected ACWA Power to realize the two plants, with parabolic trough technology for NOORo II, and a newer CSP configuration, the ‘Solar Tower’, for NOORo III. Solar Tower was a newer technology at the time, but was chosen to test this technology that was deemed more efficient. Soon to be one of the tallest buildings in Africa, NOORo III will include a 243-meter tower housing a single receiver at the top, on which 7400 flat mirrors known as ‘heliostats’ will focus the sunlight. At the bottom of the tower is a ‘cold’ tank from where molten salt is pumped to the receiver and sent back down to the ‘hot’ tank where it can be stored or used to generate steam. Solar towers can achieve higher temperatures than parabolic trough because more sunlight can be focused on a single receiver, minimizing heat losses. ACWA’s winning bids were $0.15 per kWh for NOORo II, and $0.16 per kWh for NOORo III versus NOORo I’s $0.19 per kWh (NOORo II and NOORo III have also reached a better Capex and have therefore received less concessional financing in comparison to NOORo I). These two plants feature longer storage hours—each plant can store over 7 hours worth of generation. Moreover, in NOORo II and NOORo III, ACWA will use dry cooling technology to save on water usage, even though dry cooling is sligtly more expensive than wet cooling. The lower bids combined with improved features are evidence of the advancement of the CSP learning curve. CSP is getting cheaper, and Morocco, through MASEN, played a role in developing this learning curve. Some question whether it is Morocco’s role to scale up a new and expensive technology. Although such statement remains arguable, one thing is certain—the choice of CSP was motivated by the need for secure energy supply. 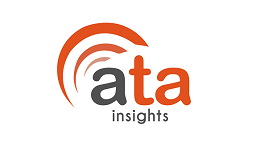 The incremental cost of CSP vis-à-vis the cheapest dispatchable option, which would have been a conventional plant using imported fuel (coal or natural gas), is a premium for energy security. There is also a good case for ‘fiscal security’ or avoiding fuel price variability, given the sociopolitical challenges in passing on the full fuel costs to the customer via the electricity tariff. The heavy concessional financing received for the NOOR projects demonstrates the participation of the international donors in scaling up CSP in MENA. This in line with developed country commitments to contribute to scaling up technologies that bring the world closer to 24/7/365 climate change mitigation, as provided in the United Nations Framework Convention on Climate Change (‘UNFCCC’). This is not to say that this participation was sufficient. More concessionality in the financing would have relieved the Moroccan consumer of the incremental cost. It would have placed it on the developed countries which have a high responsibility for climate change, and therefore its mitigation. CSP is highly transformational in terms of climate change mitigation (more so than intermittent wind or PV technologies). Others doubt whether Morocco will achieve industrial integration—its track record often being compared to the achievements of Spain and Germany in terms of manufacturing and engineering. 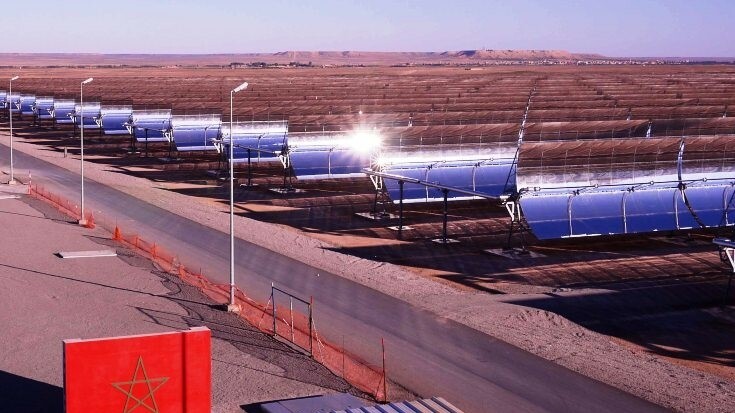 It still is premature to judge whether or not industrial integration has been achieved, Morocco has only contracted 510MW of CSP, and only comissioned 180MW whereas its Spanish peers have implemented solar programs over 2GW. Nonetheless, there is a new kind of industrial integration taking place in Morocco. The evidence is in the number of new start-ups sprouting in various cities since the launch of the NOORo Complex. For example, a company called ‘ALTO-SOLUTION’ provides CSP solutions for process heat for industrial companies in the Kingdom. Another one called ‘Elum Energy’ develops smart software for optimized use of distributed PV and batteries in commercial buildings. Most noteworthy is the level of youth participation in these start-ups. Morocco’s young engineers are making use of their skills and the solar resource while contributing to private sector development. While MASEN’s excellence in solar is undeniable, some question whether the ex-Agency for Solar Energy would display the same level of performance in developing various technologies to satisfy the Plan’s targets, particularly when it will inherit existing renewable energy assets from ONEE. With such high ambitions, the possibility that MASEN could be over-stretched is plausible. The electricity system could benefit from better coordination between MASEN and ONEE. The autonomy of MASEN sometimes translated into active seperation from other counterparts in the sector. This separation could give way to instances where the overall system wellbeing is sacrificed for lack of better efforts to ensure integration. Ain Beni Mathar, pilot hybrid CCGT and CSP (20MW solar), was commissioned in 2011. The plant was financed from the Global Environmental Fund (GEF) and was part of group of CSP pilot projects in MENA, in Algeria, Egypt, and Morocco. It allowed Morocco to gain early experience in CSP procurement, construction, and operation. An achievement that hasn’t received sufficient attention is the level of ownership achieved by the Moroccan authorities of these projects. Although aided by a significant level of foreign participation, the Moroccan leadership is undeniably strong in the vision and in the execution of the NOOR plants. This can be seen in the ownership manifested by MASEN, NOORo Complex employees, and very many Moroccan citizens. Likewise, the extensive knowledge built by MASEN is a product of such ownership. 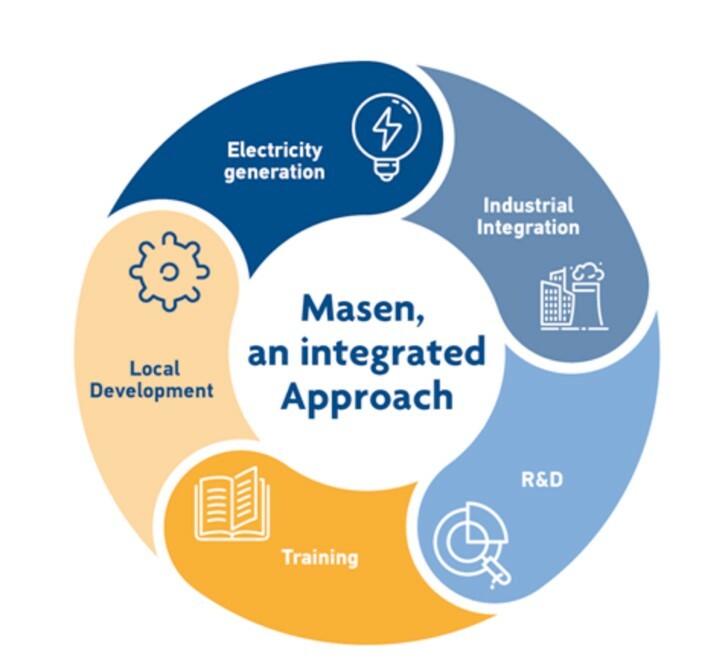 MASEN has now actively taken on the mandate of transferring its considerable hands-on knowledge of implementing solar projects, through partnerships and technical cooperation with other African and MENA countries. Morocco really wants its neighbors to share its place in the sun. Translated from the texts of the Law No.57-09. Molten salt is a mixture of sodium and potassium nitrate. It melts at 131 °C and is kept liquid at 288 °C in an insulated “cold” storage tank. When heated by the sun it reaches 566 °C in the ‘hot’ storage tank. When used for storage, molten salt can retain heat for a week with proper insulation. IBRD is part of the World Bank Group.